Who else has picky children? My Allison is probably the worst picky eater I know. In addition to constantly putting new and different food items on her plate, I try to hide vegetables in her food too. But how can I hide a lot of nutrition when she won’t eat things like pasta sauce, soup, casseroles, meat, tacos…? The list goes on. The one thing I can hide food in is bread. Muffins, oat bakes, sweet breads… It’s sad, but I do what I can! 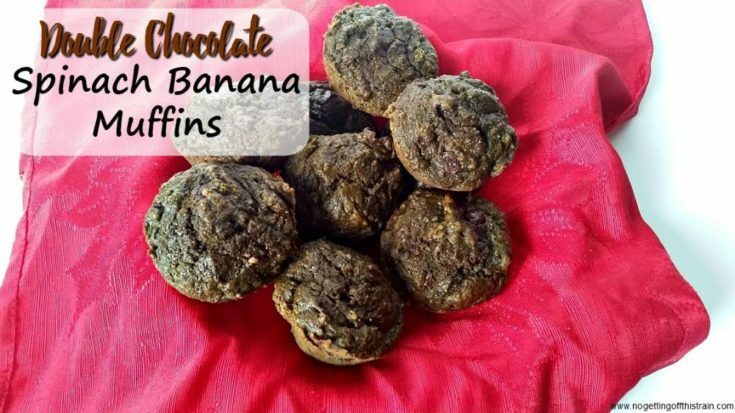 One thing she’ll eat that I love too are these Double Chocolate Spinach Banana Muffins. 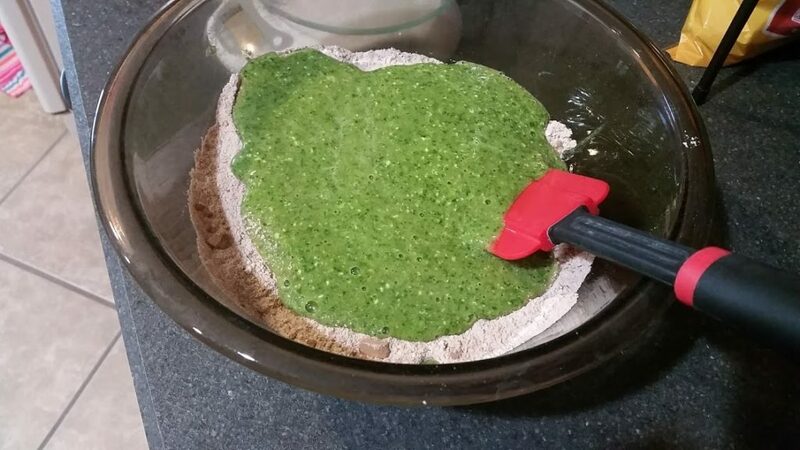 I use the blender for these to really hide the amount of spinach I put in; that, along with the cocoa powder, really hides all the “healthy stuff”. So after blending the wet ingredients, the end result will not look very pretty, as you can see. But once you mix it in with the cocoa powder, it turns a lovely chocolate color and you won’t even know there’s spinach in it! These muffins are good enough for dessert but also healthy enough for breakfast! I keep aiming for 5-7 servings of fruits and vegetables a day, so I fit those veggies in anywhere I can. And if that means I can eat chocolate for breakfast, you know I’m all over that. After you bake these muffins, you can keep them in the fridge for a few days or even stick them in the freezer! Just get one out the night before and let it thaw in the fridge, and you’re all set for breakfast. 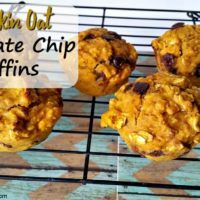 If you have picky eaters in your home, give these a try and hopefully they’ll devour the muffins without realizing what’s in them! 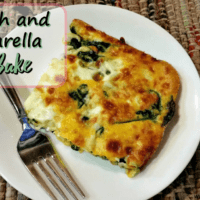 In a blender, add the spinach, banana, applesauce, maple syrup, egg, vanilla, and butter, and blend until fully mixed. In a large bowl, mix together the flour, baking powder, baking soda, salt, and cocoa powder. Add the blended spinach mix and stir to combine, then gently fold in the chocolate chips. 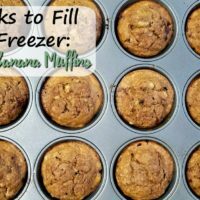 Use a spoon to scoop the mixture into a greased muffin tin, then bake for 17-18 minutes until a toothpick comes out clean. 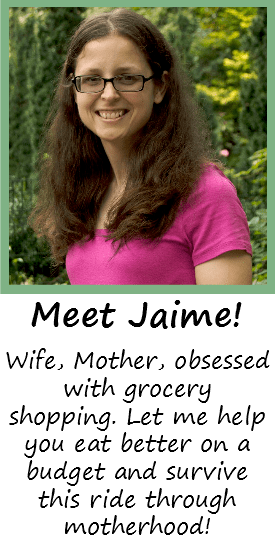 I used to “hide” veggies in meals for my oldest two boys! I always had carrots in everything! I shredded them and put them in just about everything. meatloaf, anything that I baked had shredded carrots in them! my kids loved bread, which was super easy to put veggies in! zucchini, banana, carrot etc! Yes! Carrots are another big one here; I’m surprised Allison doesn’t mind the shredded carrots sticking out of her pumpkin bread, but I won’t complain!